Free crochet and crafting patterns, mostly made of yarn. Checkout the free patterns section. 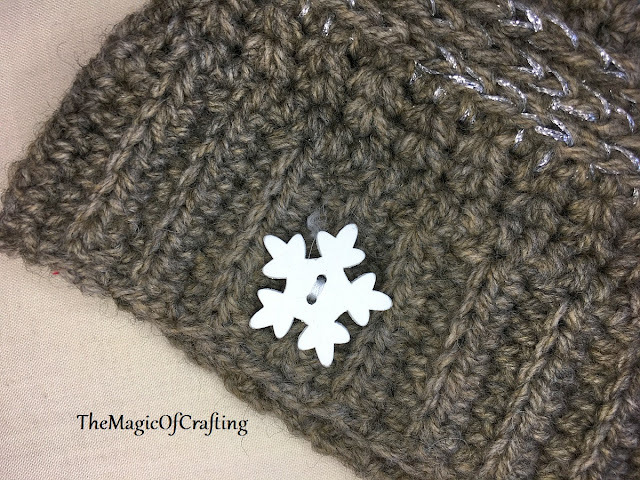 Get ready for the winter with this snowflake hat. This pattern uses only very basic stitches so it is beginners friendly. The size of the hat is easy to adapt - it depends only on the band which is the first to make. If you are not experiences with making hats or with sizing them just use another hat you have for measuring the pieces. This pattern uses US crochet terms. Finished size: Can be made in any size, just adjust the band for the required size. 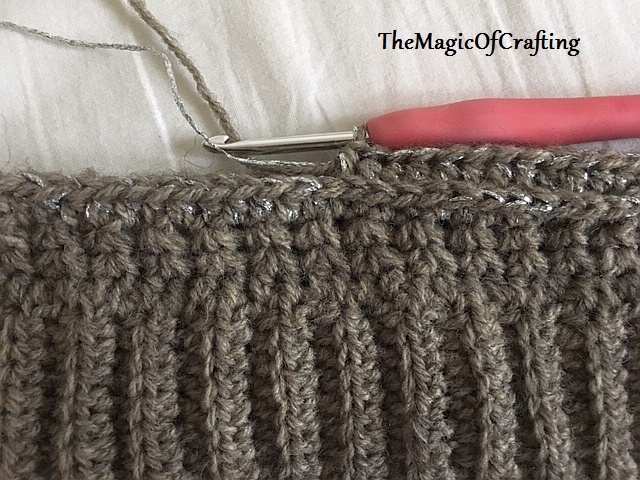 Row 1: Ch10, hdc in the second ch from hook, hdc in each st (9 st), ch 1, turn. Row 2: hdc in back loop only, end with ch 1, turn (9st). Repeat row2 till the band is long enough for the hat (hint: use another hat to check the band size, have in mind though that some yarn stretches more than others). Join the last row with ss with the first row or sew the ends. Now that you have the band make a row of hdc around, make sure to finish with even numbers of hdc st.
Row 1: Ch1, draw one loop from the same st as ch 1 and next 2 st (insert the hook in the same st as starting ch, yo and draw a loop, do the same for the next 2 st), now you have 4 loops on the hook, yo and draw through all, ch 1. * Insert the hook in the last worked st and draw a loop, do the same for the next two stitches. Now you have 4 loops on the hook, yo and draw through all, ch 1*. Repeat * - * around, end with ss to ch1. Row 2: Repeat row 1. Row 3: (optional: add metalic thread to the yarn and crochet with both for the next 4 rows) ch1, hdc in the same st, hdc around, end with ss in ch1. Row 4: ch1, hdc in the back loop only in the same st, hdc in the back loop only in each st, end with ss in ch 1. Row 7: ch 1, insert the hook in the same st as the ch and draw loop, insert the hook in the next 2 st and draw loop. There should be 4 loops on the hook. Yo and pull through all loops, ch1. * Insert the hook in the last worked st and draw a loop, insert the hook in the next 2 st and draw a loop, there are 4 loops on the hook, yo and pull through all loops, ch1*. Repeat * - * around, end with ss in starting ch. Row 16-28: Repeat row 7. 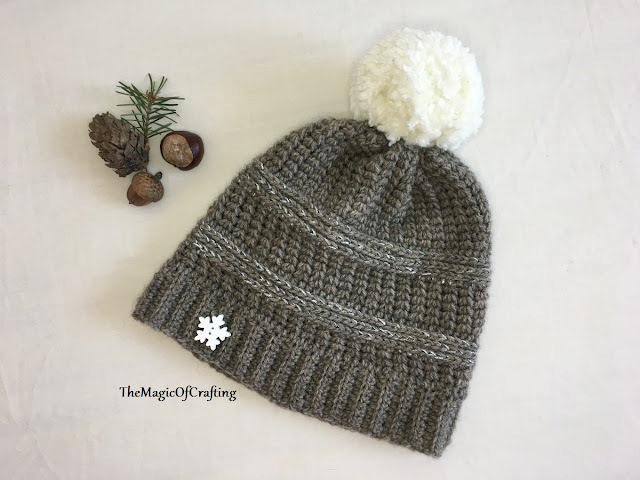 Sew the ends to form the top of the hat, sew a nice pompom. I have added a beautiful snowflake button at the band. If you this pattern use the buttons above to share it with friends. Copyright 2015 TheMagicOfCrafting. All Rights Reserved.